PalMall is one more suspicious extension created on the Crossrider engine. Even though the publisher of this application is usually listed as BND; however, it is quite possible that there are multiple parties related to the distribution of this plugin. This has been revealed when researching SuperIntext, Deeal, and other Crossrider applications. Malware researchers suggest you delete these advertisement-supported programs and remove PalMall. Continue reading the report, and you will find the answers considering the removal of undesirable adware. Even though there is no information suggesting that the plugin can be installed illegally or silently bundled with other applications, our malware researchers warn that this is a possibility. 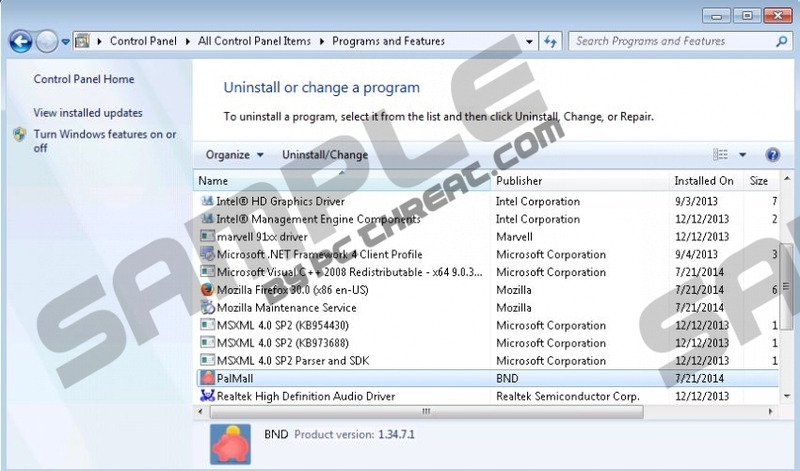 Luckily, in most cases you are likely to have a chance to refuse the PalMall installer. For example, if you come across the Video Downloader bundle, you may be able to choose the additional programs you want to install. Keep in mind that you should research these applications before installing them, just to avoid irritating and lengthy removal processes in the future. Adware, or advertisement supported software, is highly unpredictable because it joins the services of the program you more or less are familiar with and the services of completely unfamiliar parties. The affiliated parties usually sponsor the creators of adware, like PalMall, and in return advertisements related to their products/services are displayed. You have to remove adware if you are not comfortable with unfamiliar parties presenting suspicious offers. If you do not delete PalMall, there is no doubt that the suspicious commercial advertisements will flood as well. Scan the system with a trustworthy scanner to learn what threats are running on the PC. No threats are found? This is great news, and to keep up with the virtual security we suggest using a legitimate security application. If threats are detected, you should install security software to have all of them removed automatically. Select and Remove the undesirable programs one by one. Right-click the Metro UI menu to access a pane below and select All apps. Right-click and select Uninstall the application you want to delete. Quick & tested solution for PalMall removal.